The quagga, a South African zebra with stripes only on the front half of its body, went extinct on August 12, 1883, when the last specimen died in a zoo in Amsterdam. A century later, in 1988, the quagga came back to life. According to an old saying of ecologists, extinction is forever, but current advances are making the de-extinction of species a possibility that is more and more within the reach of science. However, the new quagga is not exactly the same animal as the old one. Thanks to the fact that 23 furs have been preserved in museums around the world, in 1984 the DNA of an extinct animal could be analysed for the first time. Analysis of the mitochondrial genome revealed that this equine was not a separate species, but a subspecies (Equus quagga quagga) of the common zebra (Equus quagga). A team of researchers from South Africa then had the idea that by selectively crossbreeding zebras it would be possible to restore the phenotype of the original subspecies. Thus, in 1987, the Quagga Project was born, which the following year produced the first foal of what has been called Rau quaggas, in honour of the founder of the project, Reinhold Rau. Scientists cannot be sure that the result is a true quagga, since the genome of the subspecies is not known in detail. But with animals being born that are increasingly similar in appearance to the original quagga, researchers hope to someday repopulate the former domain of this African herbivore. The Quagga Project was the first attempt in the era of genetics to employ selective crossbreeding procedures to try to retrieve an extinct animal, but there have been previous attempts. In 1921, the German brothers and zoologists Heinz and Lutz Heck launched a breeding program to restore the auroch phenotype (Bos primigenius), the wild ancestor of modern cattle, which went extinct in the Jaktorów Forest in Poland in 1627. The two scientists, with the later support of the Nazi regime, created a new race called Heck, which is supposed to have traits similar to aurochs. Selective crossbreeding is an application of the classical method of artificial selection explained by Charles Darwin in The Origin of Species and used by human beings since ancient times to obtain new varieties of domestic animals. But it is the new bioengineering technologies developed in recent decades that for scientists like Gwen Iacona, a biodiversity expert at the University of Queensland (Australia), that are now making the resurrection of species a reality: “the technical path is progressing very rapidly and some types of de-extinction are currently happening,” Iacona tells OpenMind. The first step on this path is cloning, a technique that in 1996 gave us the sheep Dolly, the first animal cloned using DNA from an adult cell. In 2003, a team of Spanish and French researchers managed for the first time to obtain a clone from an extinct animal, the bucardo (Capra pyrenaica pyrenaica), the Pyrenean subspecies of the Iberian ibex, which went extinct in 2000. Cloning was possible because frozen cells from the last specimen had been preserved, but the kid was born with a defect in the lungs and died within a few minutes of being born. Cloning requires the intact DNA of the extinct species, which has deflated the hopes of re-creating animals such as the thylacine or marsupial wolf. Therefore, the current objective of several groups of researchers is to use cells from the closest living species and modify their genes to obtain DNA as close as possible to that of the extinct animal. This genetic engineering is being applied to the recovery of the passenger pigeon (Ectopistes migratorius), extinguished in 1914 by massive hunting, and of which it was said that its immense flocks obscured the North American sky. The Great Passenger Pigeon Comeback project began in 2012 with the aim of editing the DNA of the band-tailed pigeon (Patagioenas fasciata), the closest living relative, and recreate the extinct bird. The passenger pigeon project is the work of Revive & Restore, an initiative that also pursues the de-extinction of other species like the heath hen (Tympanuchus cupido cupido), which went extinct in 1932. But undoubtedly, the idea that has most caught the attention of the media and the public is the possible resurrection of one of the most iconic animals of prehistory—the woolly mammoth. With the support of Revive & Restore, the team led by geneticist George Church at Harvard University is introducing mammoth genes, identified from specimens preserved in the ice, into the genome of their closest current relative, the Asian elephant. 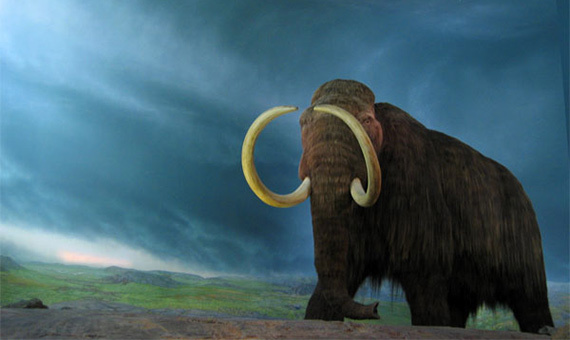 The team has already done so with some genes related to the mammoths’ small ears, their coat and their resistance to cold. Church is hoping to obtain an elephant-mammoth hybrid, with certain features of the woolly giant, within just two years. The problem, Robert explains, is that the habitat of the woolly giant no longer exists. “The world where mammoths used to roam has been replaced by another world, which we call the Anthropocene.” On this planet modified to the convenience of humans, it does not seem simple to find a space for these animals without causing irreversible ecological damage. “At present, it is impossible to know what will happen if we decide to bring them back to life,” concludes Robert. But if there is something clear for the experts, it is what should not be done—rescue animals from extinction to lock them up in zoos. “It would be unethical to relegate a species to perpetual captivity,” Iacona says.